Habitat - Sandhills, scrub, dry hammocks, open woods, clearings. 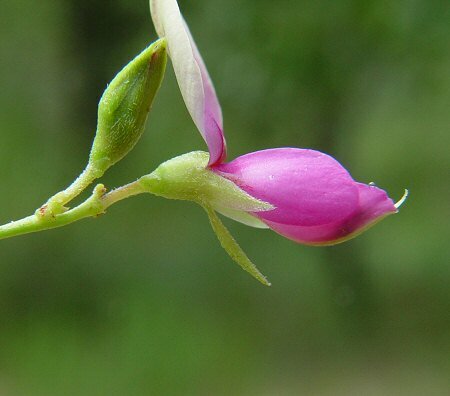 Other information - This small vine can be found throughout much of Alabama. 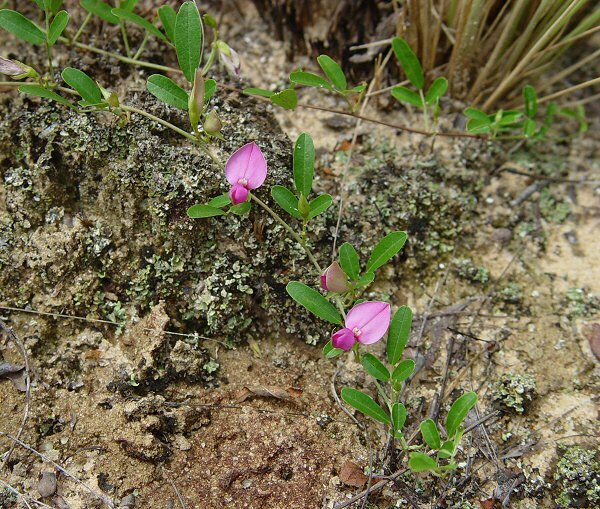 The plant can be identified by its short axillary racemes and fairly large flowers. 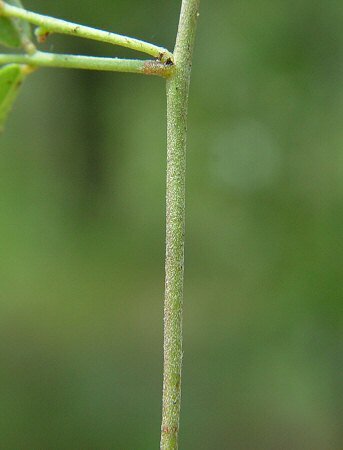 The stems of this species are appressed pubescent to glabrate and are more trailing than twining. A similar species, G. volubilis (L.) Britton, has smaller flowers and stems that heavily twine and climb. 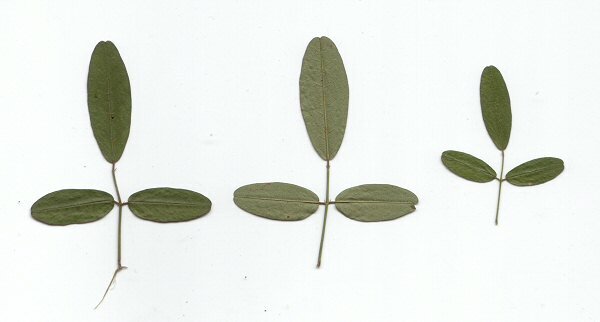 The genus name Galactia derives from the Greek "gala(ct)" meaning "milk" name given by botanist Patrick Browne (1720-1790) as he stated that the plant had "milky branches." The species name regularis derives from the Latin root "regula(ri)" and means "regular." 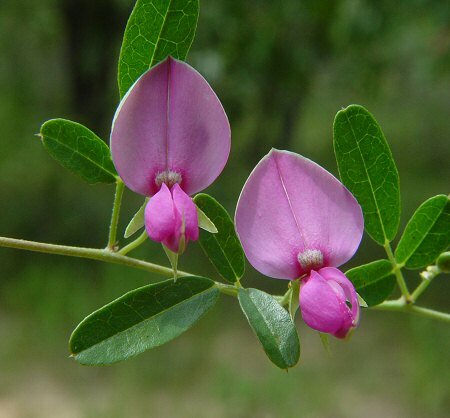 Linnaeus gave this name to the plant becasue he thought it typical of the genus Dolichos, with which he first placed it. Photographs taken at Fort Benning, GA., 8-11-05.